The trip from Washington D.C. to Port Douglas, Australia (through Los Angeles and Sydney) is 42 hours long, so by the time you reach your destination you really don't know what day it is. 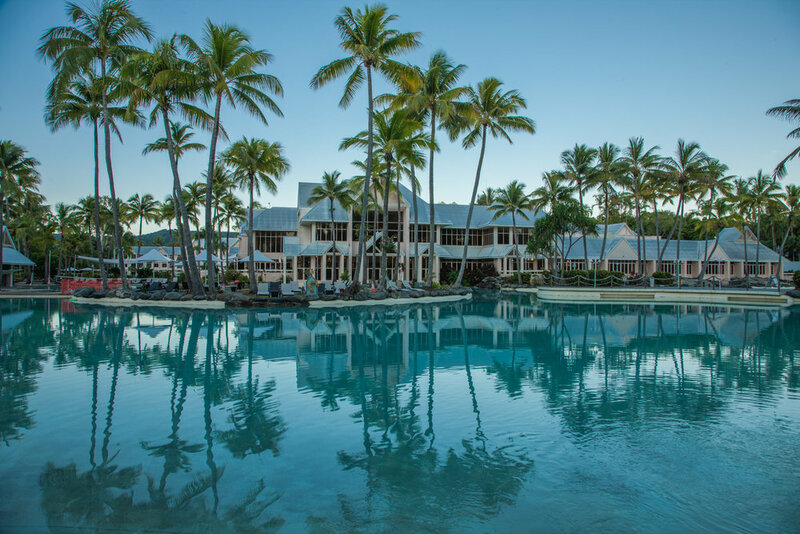 After taking a bus from the Cairnes Airport, we reached Port Douglas and stayed at the Sheraton Mirage Port Douglas Hotel. It's a nice hotel but not worth the price. The rooms are old, humid, and without balcony swimsuits are impossible to dry. And unlike other hotels we booked in the past, this one had a no-cancellation policy. Port Douglas is one of the northest cities in Australia, most famous for Snorkelling Tours and Grand Barrier Reef Explorations. The city is not big nor touristy like Cairns (for some unknown reason the R is silent), and everything closes very early, from souvenir shops to restaurants. It is expensive, and there doesn't seem to be a big difference between buying drinks at the liquor store or ordering it in restaurants. In addition to snorkelling, you should not miss the chance to hold a koala and see kangaroos up close. Unlike big wildlife habitat in Cairns or a huge Zoo in Sydney, Wildlife Habitat Port Douglas is a perfect size habitat. Few hours there is plenty, and you can use the remainder of the day to hang by the pool, or just relax in nice little cafes of Port Douglas where you can enjoy people watching. We were not have been able to swim in the ocean in front of our hotel because of the jellyfish season. Instead, we used the beach for a sunrise photo shoot.